SCI is thrilled to launch their brand new live archival series, Rhythm of the Road, highlighting many of the band’s most celebrated concerts with re-mastered limited edition releases. 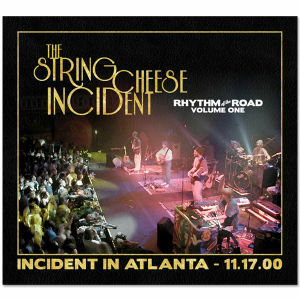 First in the installment: Rhythm of the Road: Volume 1, Incident in Atlanta – 11.17.00. Available just in time for the 10th anniversary of the epic show, Incident in Atlanta features the entire 11.17.00 performance from The Tabernacle.